EVA organizes courses, seminars, laboratories and workshops on European design, the internationalization and the start- up of businesses. We organize individual and group training courses, aimed at associations and organizations, both public and private. We make full use of the support from our consulting experts. EVA is specialized in the drafting and management of projects, in response to direct calls from the European Commission, and in the presentation of projects from structural funding or national financial relief funding. We offer assistance in the presentation and management of European projects and consulting services for start-up. EVA promotes the diffusion of innovation, of digital and of active citizenship. Through our blog, our newsletter and social channels we offer useful information to help to understand a transforming world and to keep up to date with available programs and financial opportunities at a European, national and regional level. EVA consulting firm offers integrated services directly to the businesses, institutions, professionals, associations and individuals interested in innovation and change, from a digital agenda to European politics, from start-up to financial funding. Thanks to our collaboration with our partners (consulting firms, professionals, businesses, associations, etc.) EVA is able to propose/offer services to its clients across a wide range of disciplines (legal, linguistic, transnational, development, graphics, architecture, economic). This multi disciplinary approach is our strong point and our most valuable asset at EVA. With the integration of knowledge obtained across various professional fields, EVA is able to guarantee its clients a complementary service, innovative with best practice solutions in a given sector. EVA is specialized in the drafting and management of projects created out of open calls from the European community and in the presentation of structural funds (FSE, FESR, etc.) or from national financial relief funds (Invitalia). Periodic and accurate monitoring on community financial funding opportunities, according to the specific needs, project and business ideas, of the client. A document concerning available funding concerning the client’s project idea is made available. This document offers all the information relative to the type of individual funding, parry to the project idea, risks, solutions, and useful suggestions for the success of the project. The development and auditing of the funding ability of an idea; the identification of the relevant European program; the examination of documents and directives; the definition and drawing up of the project idea; the predisposition of the financial plan and the required documents; national and international partner research; assistance during the evaluation phase of the project. 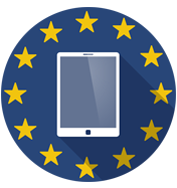 Information, monitoring and support in European tenders. Assistance in adhering to international projects prepared by EVA European partners. This service provides the preparation of a customer card that is sent to the promotional partners of the project, assessment and selection of minor projects, and assistance in the aptitude of the project contents in case of adherence. The research of partners and the constitution of the consortium help with the definition of a consortium agreement, assistance in the editing and in the publishing of interesting manifestations. Assistance during negotiations with the European Commission until the signing of the contract. 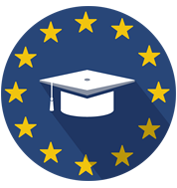 Management of financial projects, relations with the European Commission and with the consortium accounts. The analysis of the pre-possibility and financial possibility of a business idea; the analysis of strategic, financial, logistical, and administrative possibility. Consulting and assistance with civil, penal and administrative matters, along with all questions concerning common community funding, thanks to our partnership with “di Sebastiano Legal Firm”. Thanks to the collaboration with consultants and expert developers, EVA offers services in the development sector addressed to entrepreneurs, professionals and associations. In collaboration with Prime Factory, EVA organizes regular free or paid courses, seminars, laboratories and workshops on European projects, internationalization, and business start up. EVA also promotes formative events on European funding programs and on specific calls. EVA offers individuals, groups, associations, public or private organizations, the possibility to participate in training courses. These course are organized ad hoc, on the basis of a detailed analysis of the needs, requests and available budget of the interested party. In some cases, these courses can be financed at a community level by inter professional funding. EVA offers assistance and training “on the job” for the development and the drafting of a business or an association’s community project. The client has the possibility to prepare the very own project idea with an EVA consultant, acquiring familiarity with the European project instruments. Through our blog, newsletter and social channels, EVA offers a panoramic view of the various funding opportunities, programs and existing concessions at a European, national and regional level. In the EVA blog we regularly publish articles and in depth information on European funding, European politics and citizenship, digital, start up and good practice. Subscription is free. The EVA team has fulfilled more than 40 projects in training development and European design. To find out more click here.